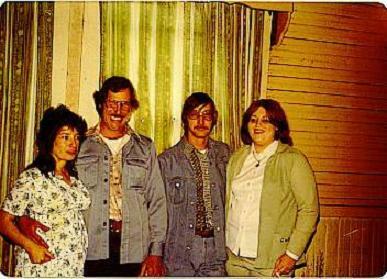 A Family Reunion was hosted at the home of “ Bill” Robershaw and wife Jo Ann Hicks on March 26,1978. 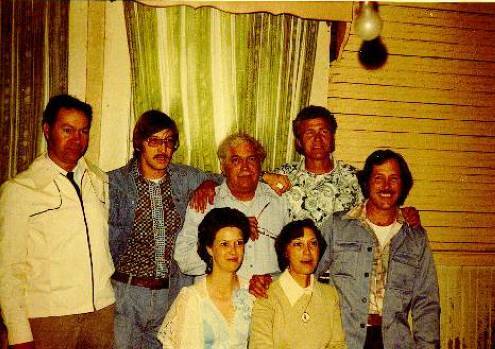 Pictured above left to right is Andrew, Aubrey Gerald, Bill, Robert, Wesley and seated is youngest of Family Carolyn Robershaw, and sister Lura Mae Robershaw Martin. 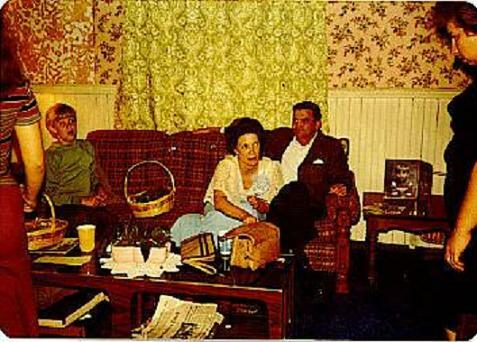 Seated is Carolyn and her husband Bedford Robertson. Barely in the picture is Bill’s wife Jo Ann Hicks. The young boy appears to be David Martin. 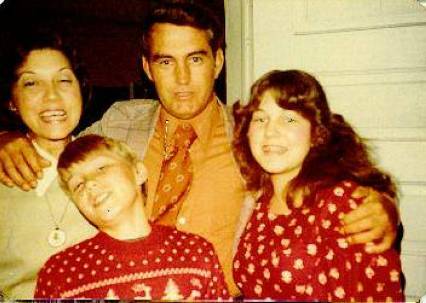 Cousin Lura Mae, Husband Bobby Martin and their children, David and Theresa. 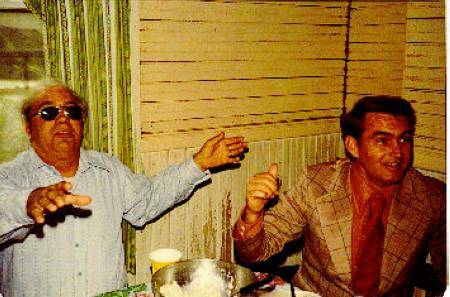 Bill is trying to convince someone Bobby did it. A G Robershaw Family Reunion at the Falls in 1990. Left to Right, Robert, Andrew, Carolyn, & Lura Mae. In the picture above on left is Francis Robershaw Barton, daughter of Bill and Melba Ann Williams. Above is Rosa, Wesley Robershaw, Aubrey Gerald Robershaw and wife Sandy. Click on Pictures for Enlargement, Click on Flag for Next Page!! A Special Thanks to Bill’s Daughter, Melinda for providing these Photos for the Family! !